Messing around with Photoshop's video editing options. 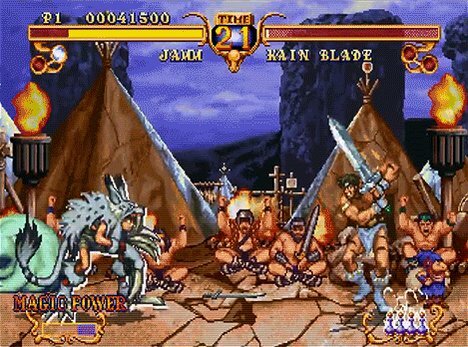 Just ripped this gif of Jamm's win pose from Golden Axe: The Duel! This game had REALLY GOOD ART! Cham Cham--I mean Jamm was born into a war torn land. She was abandoned by her parents during an enemy invasion, but was taken in by a wild spirit named Degas that raised her among the animals. 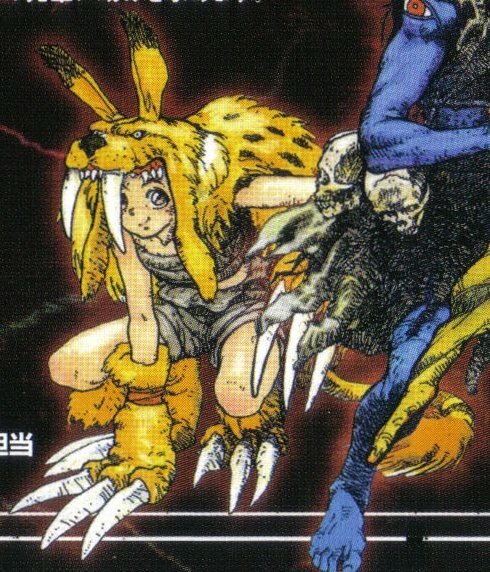 Here's a rad Moebius influenced illustration of Jamm! After Degas passed away, Jamm continued to wear his pelt and claws. During her super, she casts off his skin and his spirit returns and fires a beam of destructive energy at her opponent. Apropos of nothing, man Magical Drop 3 had really nice animation! Hmmm last image is a bit too big for Twitter. Let's try again ... Man this game had such cool characters! Gotta love the screen filling sprite art too! 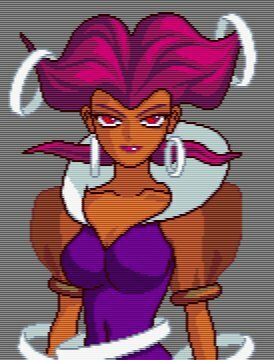 Hmmm scanlines in last image are still weird. I guess it was too tall. Also there's a noticeable pause at the end since Twitter always holds the last frame of the animation. Gotta edit the timing on the gif to account for that here goes!